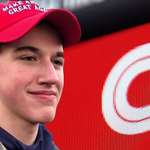 A CNN White House reporter has apologized after sending a Tweet to a former Trump White House staffer saying "F**K You" in response to his complaints about the noise levels at Donald Trump's rally in Missoula, Montana. Jim Acosta replied to Justin Caporale's Tweet, the former aid to Melania Trump, with "F**K You." 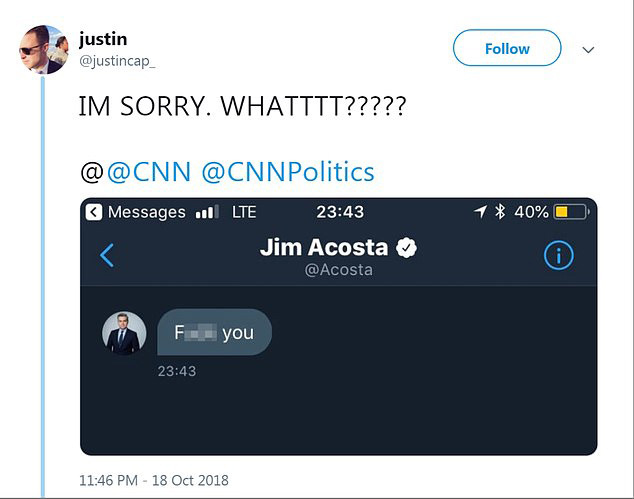 Acosta later apologized before blocking Caporale after the Tweet went viral. Until March this year, Caporale was the director of operations for the first lady. 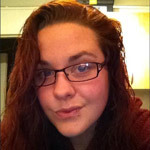 Caporale was the first lady's director of operations until March. 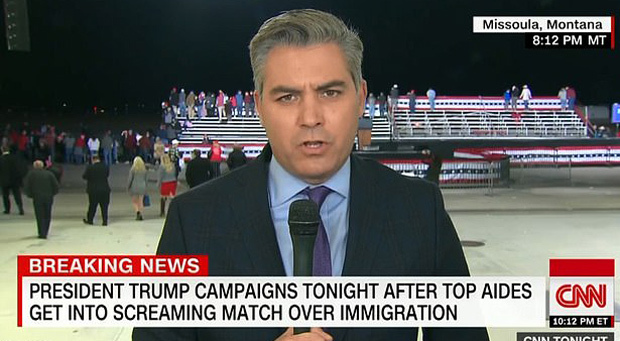 "Tonight the Trump campaign/WH turned up the music so loud the press risers were vibrating,' Acosta complained on Twitter after the rally. 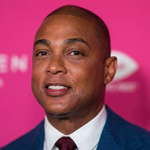 'Nearly impossible to do live TV." "I suppose the WH loves those kinds of shenanigans. 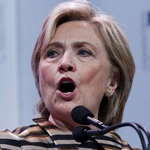 But I wonder if it’s a security concern for USSS [Secret Service] or local law enforcement. They can’t hear either." 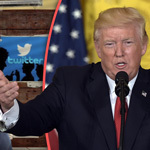 According to the DM: Retweeting Acosta's negative first-person Trump White House musings with the original words 'Dear Diary' has caught on as a passive-aggressive way for conservatives to ridicule the reporter. In this situation, however, he was in no mood to spar playfully. 'IM SORRY. WHATTTT?????' Caporale wrote above the image, noting less than an hour later that Acosta had blocked him on Twitter. He also publicly called out Acosta with a demand for an apology. Acosta brushed it off more than 90 minutes later, declaring his bleep-worthy slam was intended for someone else. Caporale allowed a reporter from The Daily Caller to log into his Twitter account to confirm the 'F**k you' message was genuine. A CNN spokesperson did not acknowledge the Tweet on Friday morning to questions about whether Acosta will face internal punishment for cursing out a member of the public who got under his skin. 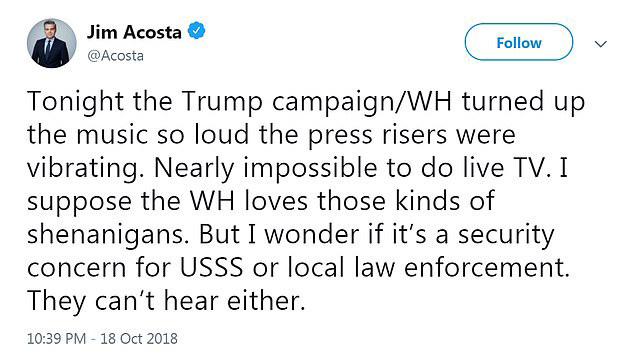 Acosta tweeted a slam at the event staff who were striking the rally stage and lights while he was on the air Thursday night. 'Here’s how loud the “technicians” at the Trump rally in Montana were playing the music after the event,' Acosta tweeted, along with a link to a video sample. Via the private message on Twitter, Ocosta refused to comment Friday morning.